Dental (Oral) Health Questions and Answers! There are a number of commonly asked questions about oral health that have been submitted by readers of Everyday Health. I will respond to some of them but others can be found at Everyday Health's Dental Health Webpage: Dental Health 101: Ask the Experts. Everyday Health is an excellent online source of information about all aspects of your health and I encourage you to visit its website. Below are commonly asked oral health questions and my answers to them. To access an answer simply click on the question of interest. Which Oral Health Symptoms Shouldn't be Ignored? What is the Difference between a Mercury Free (Amalgam Free) and Mercury Safe Dentist? Q: Is There a Connection Between Oral Health and Other Health Conditions? A: Oral health can no longer be separated from overall health. Unless you are free of dental disease, particularly gum disease - and the other oral health issues that harm overall health - you can never be truly healthy. More detailed information about the important relationship between gum disease and overall health can be found in my book; Healthy Teeth - Healthy Body: How to Improve Your Oral and Overall Health or visit Dental Disease & Health on my website. Health professionals who would like more information about the relationship of oral to overall health can Click Here to access it. At first glance one might wonder what does chronic mercury poisoning have to do with overall health? That is a great question but did you know that mercury amalgam fillings are the number one source of chronic mercury exposure, far greater than any other source - including seafood and the environment? Of course there are many factors involved as to the extent of the exposure, including how long they have been present, how many fillings, how they are stimulated, how often, and the overall health of the individual. In my opinion (for those in the high risk category), the most damaging oral health issue that affects overall health is chronic mercury poisoning resulting from the release of mercury vapor from amalgam (silver) fillings. If you are unfamiliar, or unsure of mercury’s affect on overall health, my book explains how these toxic fillings damage the health and well being of everyone who has them or has been exposed to mercury released by them, especially the fetus, nursing baby, and young child. It explains how devastating mercury is to the immune system and lists the many symptoms and diseases related to it. In addition, it discusses the secondary (indirect) effects of chronic mercury poisoning on the immune system and how it can, over time, be even more destructive to one’s health than its direct effects. If you’ve been under the illusion that the mercury released from mercury amalgam fillings doesn't pose a health hazard, you'll see it in a far different light when you read my book, The Poison in Your Teeth: Mercury Amalgam (Silver) Fillings . . . Hazardous to Your Health. The impact of these oral health issues on overall health is determined by the seriousness and duration of each, and how many are present in an individual. The fact is that is that a large percentage of the population is affected by some, or all of the above oral health problems. For example, an individual could have periodontal disease (the most serious form of gum disease), suffer from chronic mercury poisoning, have an infection from a failed root canal, a jawbone infection, and allergic reaction to dental materials - all present at the same time. Of course many variables exist, as someone can have advanced gum disease and only have a few amalgam fillings. In that scenario, the effects of gum disease on overall health would be much greater than the effects of mercury. I'm sure you can imagine all of the possibilities that exist - none of them good. But what is important to consider here is that if you are dealing with any, some, or all of the oral health issues that can damage overall health you should let your health practitioner know about them as he or she may be looking for other other causes of your health problems than those related to these oral issues. That can be frustrating for both you and your doctor. Although there is no way of knowing exactly how much these oral health issues are contributing to your medical problems but that isn't the point - as there is no doubt they are contributing to them to some degree. If you want to do all you can to improve your oral and overall health it means that you will have to take the necessary steps to work with your dentist and hygienist to eliminate these oral health problems and repair the damage done by them. It is possible that your doctor isn't aware of the relationship of oral to overall health and if that is the case I suggest you send him or her to this site; The Relationship of Oral to Overall Health: What Every Health Practitioner Needs to Know! A: No they are not safe because elemental mercury makes up 50% of an amalgam filling and it continuously releases mercury vapor - much more (as you will see) when it is stimulated by many common actions, such as tooth brushing, grinding and eating. Eighty percent of the mercury released enters the body and every atom of mercury that enters it is harmful. Mercury is the most poisonous, naturally occurring, non-radioactive substance on our planet. The World Health Organization, WHO, says there is no safe level of mercury and has stated that amalgam fillings are the greatest single source of mercury exposure, surpassing fish and other sources of mercury. Of note is that three European countries, Norway, Denmark and Sweden have permanently banned amalgam fillings and they can no longer be used as a filling material. Even though over 50% of general dentists no longer put in amalgam fillings there is still a controversy surrounding them. Yet, there has not been one study done that proves that amalgam fillings are safe, but thousands of studies that prove mercury is poisonous, more so than arsenic, lead or cadmium. In spite of the increasing body of evidence that shows that unsafe levels of mercury can be released from amalgam fillings, there are still dentists who insist they are safe and harmless. The most common defense of amalgams used by those who say they are harmless is that they've been used for over 180 years. But using a poison for 180 years doesn't make it harmless. Cigarettes were used for much longer than that and time didn't make them any less harmless. Another defense is that, according to the pro-amalgam faction, only a small amount of mercury is released - not enough to make them harmful. (As you will read, it isn't a small amount.) But I ask you, if one atom of mercury is toxic how can anyone consider any amount of mercury to be safe, whether it is released from amalgam fillings or from any other source? A few examples should help you understand what I'm saying. First, the Occupational Safety and Health Administration (OSHA) has a ceiling limit of 100mcg/Hg/m3 (micrograms/mercury/cubic meter of air) for facilities using elemental mercury. If the levels of mercury vapor in the building reach 100mcg/Hg/m3 the employees have to leave as it is considered toxic and unsafe for employees. (Just one microgram of mercury contains 3 trillion atoms of it.) Yet the simple act of brushing just one amalgam filling can release more than 250mcg/Hg/m3. This can never be considered a small amount and this is from just one tooth! The second is that dental offices are required to put all components of an amalgam filling (mercury, silver, copper, tin and zinc) into a hazardous waste container when it enters the office. They are also required by law to place waste pieces of amalgam fillings (from placing them and removing them) in a hazardous waste container. Dental staff are told not to touch it without gloves. The question I pose to you is, what does that make your tooth when you have an amalgam filling in it? Right - a hazardous waste container. Think about that for a moment or two when someone tells you they are safe and harmless and not to worry! Mercury can, directly and indirectly, contribute to or make worse nearly every health issue you will face and I have a list of those symptoms on my website at, Mercury Symptoms & Diseases and I encourage you to review them. While there are many factors involved as to how much mercury has to be stored in the body before a symptom of chronic mercury poisoning will appear - and it could take years before enough will accumulate to cause them - why risk daily exposure to such a highly toxic substance? So who can you believe - the scientific community and the ever increasing number of dentists who believe the mercury released from amalgam fillings is harmful to your health - or those who say it isn't? It is your body and your choice and I think you should be the judge and the one who determines if you want to have them safely removed or not. I suggest you go to the American Dental Association's website, www.ada.org, and read what they have to say about amalgam fillings. It is impossible for me to cover every aspect of this subject in this short article so I encourage you to consider reading my book, The Poison in Your Teeth: Mercury Amalgam (Silver) Fillings . . . Hazardous to Your Health, and review the Frequently Asked Questions (FAQ) on my home page and see what I have to say about them and chronic mercury poisoning. I'm confident that once you gather the available information you will know how you would answer the question that was asked above; Are Amalgam (Silver) Fillings Safe? Q: What Are the Biggest Misconceptions about Dental Health? It can also severely stress the immune system and lower the body’s resistance to infections. As you make your way through my website, you will read that if you don’t address your existing oral health issues, especially gum disease, your overall health will continue to suffer. The following studies will demonstrate that the effects of dental disease are not limited to teeth and gums. These are significant savings yet the government and the business community seem unwilling to look at this or insist that dental patient education needs to be a part of any health care reform and insurance coverage. The focus in the US regarding health and dental care has always been on treatment, with little emphasis on education and prevention. Yet no amount of treatment, no matter how well it is done, has ever prevented anything. Aetna (NYSE: AET) and Columbia University College of Dental Medicine conducted a study that found a relationship between periodontal (gum) treatment and the overall cost of care for several chronic diseases. The results of the study, which included approximately 145,000 Aetna members with continuous dental and medical coverage, indicate that periodontal care appears to have a positive effect on the cost of medical care, with earlier treatment resulting in lower medical costs for members with diabetes, coronary artery disease (CAD), and cerebrovascular disease (CVD) or stroke. "The results of this study are encouraging because they show the connection between good oral health and overall well-being, as well as illustrating that the early treatment of periodontal disease can help reduce medical costs for these conditions," said Pat Farrell, head of Aetna Specialty Products. "We believe that in addition to lowering medical costs, we are also helping to improve members’ quality of life. We will continue to work with Columbia to demonstrate ways that dental care can improve the overall health of our members." The cost to the individual, the government and the business community doesn't stop with the cost of dental treatment and related health care costs. Employed adults lose more than 164 million hours of work each year due to oral health problems or dental visits. That is an added burden on the economy and one that can be easily prevented. In summary, if you have been under the impression that dental disease is a minor problem of the teeth and gums you are greatly mistaken and your overall health will suffer from that mistaken belief. Commit to seeing a dentist for a full examination, regular check-ups and cleanings - and make sure you do what is necessary to eliminate gum disease and to keep your gums healthy. More detailed information about the important relationship between oral and overall health is in my book; Healthy Teeth - Healthy Body: How to Improve Your Oral and Overall Health or visit Dental Disease & Health on my website. Health professionals who would like more information about the relationship of oral to overall health can Click Here to access it. "Overall Health Must Include Oral Health!" Q. Which Oral Health Symptoms Shouldn't be Ignored? A: No oral symptom should be ignored - ever! Every oral health symptom is a warning that something abnormal is happening in the oral cavity and, if that warning isn't heeded, it could lead to something far more serious. The important thing to be aware of here is that what happens in the mouth is not just limited to the teeth and gums - and far too many people aren't aware of that fact. Because many oral health issues, such as gum disease and infected root canals, can dramatically affect overall health, not to pay attention to the early oral warning signs is to literally put your overall health at risk. So let's look at some of the more common oral symptoms you should know about. Sensitivity - to heat, cold, acidic foods, even brushing is another warning sign that should not go unattended. It can indicate decay, exposed root surfaces due to gum recession, a leaky filling, and even gum disease. Bleeding - a little, a lot, occasionally, consistently, only when brushing or flossing and eating, or for no apparent reason - isn't normal and never should be considered to be so. Bleeding is usually an indicator of gum disease but can indicate other oral problems, such as an abscess. As with any oral symptom, the determination of its cause and severity should always be done by a dentist. Self diagnosis should never be attempted by the patient nor should the dental appointment be put off. Swelling - any lumps, or bumps, ridges, pimples, or any other type of swelling - anywhere in the oral cavity (lips, gums, or any other area of the mouth and face) is definitely a warning signal. There could be many causes of this and only the dentist can diagnose it. This should be dealt with ASAP. Ulcerations and Discolorations - any ulceration, discoloration, redness, or sore spot on the lips, tongue, inside of the mouth, face or neck must be considered as not normal and checked out by a dentist, especially if it doesn't resolve itself within 10 days to two-weeks. (For example, an ulceration such as herpes may show up suddenly, heal itself within two-weeks and may not need to be treated by a dentist.) There could be many causes to consider, some benign but others could be much more serious. This is not a symptom to put off until tomorrow! Loss of Feeling - loss of feeling in any area of your mouth or face can be cause for concern as it could indicate nerve damage. This must be looked at by a dentist immediately. Persistent Coughing or Difficulty in Swallowing - Either, or both, of these symptoms could be related to an oral health issue but could also be an indicator of a more serious medical issue. This should be dealt with by a dentist or a health practitioner if it persists for more than a week and there doesn't seem to be an obvious cause, such as a cold. Other Diseases of the Mouth - There are over 20 other health/medical issues whose early signs and symptoms can be found in the oral cavity. These can range from a drug reaction to serious cancers, such as oral cancer, squamous cell carcinoma, and leukemia. Any of the symptoms listed above could also be related to a medical problem and you should be acutely aware that any oral symptom, whether listed here or not, that appears and stays should be examined by a dentist and if necessary referred to the proper medical specialist. Early detection of these signs is also the reason why everyone, even if free of dental disease, should have a complete oral examination at least once a year. Please don't think that if you don't have an oral symptom you don't have an oral problem! There are also a number of oral health problems that can exist even before a recognizable symptom appears. Far too many people believe that they couldn't possibly have an existing oral problem if an observable symptom doesn't manifests itself. This belief has led to an untold number of dental emergencies that could have easily been avoided by regular dental check-ups. The main thing to consider here is that many oral health problems may reach a serious stage before a symptom appears, such as pain. For example, in many people decay can progress deeply into the tooth before pain shows up. So can gum disease and an infected root canal, even an abscess. Thus, while you should be aware of the various signs and symptoms of oral problems - if you wait for them to appear you could be putting your teeth and overall health at risk - unnecessarily. Of course if a symptom appears, or whether it comes and goes, or seems to have gone away (however minor you think it is), you must schedule an appointment to have it professionally diagnosed and treated. If you are one of the tens of millions who haven't had regular dental check-ups you cannot afford to wait until an emergency situation is created. For those of you who have put off regular dental treatment - for whatever reason - the only way you are going to be able to know what is going on in your mouth and catch something before it becomes serious, is to schedule an examination with the dentist. If you are interested in learning more about how your oral health can affect your overall health, how you can establish a oral hygiene program to help you prevent future dental disease, and how you can perform an oral-self examination, I recommend reading Health Teeth - Healthy Body: How to Improve Your Oral and Overall Health. For those of you who want to understand how oral health can dramatically affect overall health Click Here for more information. Interested health practitioners can learn what they should know about this critically important relationship by Clicking Here. 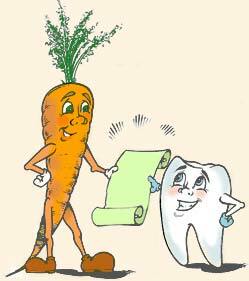 "Remember - You don't have to take care of all of your teeth - only the ones you want to keep!" Q: What is the Difference between a Mercury Free (Amalgam Free) and Mercury Safe Dentist? A: Strictly speaking, the term “mercury free” refers to dentists who do not put amalgam fillings in their patients’ teeth. This term was first used over 40 years ago by dentists who wanted to distinguish themselves from dentists who felt that amalgams were safe and continued to put them into patients' teeth. Their concern was based on the fact that mercury vapor, the most poisonous, naturally occurring substances on the planet is continuously released from amalgam fillings. Over time, dentists who were mercury free developed protocols, procedures and equipment that allowed them to dramatically minimize a patient’s exposure to mercury during the removal process. In effect, using these protocols meant that their practices were not just mercury free but also mercury safe – yet until the last few years they still continued to use the now inaccurate term 'mercury free' to describe themselves. Thankfully things have changed and those practicing and promoting mercury safe dentistry know it isn't enough to just be 'mercury free' when it comes to protecting the patient, the dentist, the staff, and the environment from exposure to toxic mercury vapor - you also must be 'mercury safe'! The fact that more and more dentists are becoming mercury free but not also mercury safe has created a problem for patients who mistakenly believed that dentists who say they are mercury free (amalgam free) also meant they used protocols to safely remove amalgam fillings. The problem is even more complicated because there are still dentists who promote their practices as being mercury free - who are also mercury safe - but don't promote themselves as such. So the question is; if a dentist states he or she is mercury free - how do you know if the practice is also mercury safe? Not to worry, there is a an easy solution to this dilemma. If you are looking for a dentist who will safely remove your amalgam fillings you must ask the following question: “Are you both mercury free and mercury safe?” Bottom line . . . you can’t assume that a dentist who advertises his or her practice as being mercury free (amalgam free), is also mercury safe – unless you ask! If you want to have your amalgam fillings safely removed I have the largest and most comprehensive listing of mercury safe dentists listed on the Internet and you can access my Mercury Safe Dentist Directory by Clicking Here. For those who are interested in reviewing the most widely used mercury safe removal protocols (suggested by New Directions Dentistry and the International Academy of Oral Medicine and Toxicology (IAOMT) Click Here. If you are unsure about whether or not you should have your amalgam fillings safely removed and replaced and want more information I recommend reading The Poison in Your Teeth: Mercury Amalgam (Silver) Fillings . . . Hazardous to Your Health. If you are a dentist and are interested in becoming a mercury safe office the DVD Course, How to Make Your Practice Mercury Safe: Minimizing Occupational Exposure to Mercury at the Dental Office is your A to Z guide to making that happen. Q: Besides Brushing and Flossing, What else can We do to Take Care of Our Teeth? A: This is a great question and while not every dentist, or dental hygienist, may agree on what else is needed to get and keep your gums and teeth healthy I feel you should know about the other oral hygiene tools that are available. That way you can make up your own mind. First you must be aware that everyone is different in regard to the state of their oral health and even within one's mouth there will exist different conditions, requiring different dental tools. Thus, in some parts of your mouth a toothbrush may be all you will need to keep that part healthy. Yet in another area you will need to floss regularly to keep it disease free. And in some areas you will need to use the toothbrush, floss, water irrigator and other unique dental tools to maintain optimal oral health. But before I get into the various 'preventive dental tools' that are available you will need to be aware of the fact that regardless of the tools that are available you must first know why you are using them, what they do, when to use them, how to use them, and be committed to being responsible for your own oral health. As I like to say, 'it isn't the brush, it's the brusher' and 'it isn't the floss, it's the flosser'! While treatment is something that is done to you, prevention is something that is done by you! So when it comes to achieving and maintaining optimal oral health you, and you alone, will determine how successful you will be - not the tools you use. If, when you were 6 years old, you learned everything you needed to know about taking care of your teeth and did what you needed to do - the only dental tool you would ever need would be the toothbrush. If you didn't learn that lesson and later found that you had the early stages of gum disease and some decay, you could add dental floss to the toothbrush and if you knew when and how to use it, those two dental tools would be adequate to keep your gums and teeth healthy. But, if overtime you didn't know what you needed to do, or just got lazy and didn't do it, and eventually progressed to moderate or advanced gum disease (which a high percentage of the population has) - those two dental tools would no longer be sufficient. In my opinion, anyone who has had bone loss and gum recession, or have periodontal (gum) pockets of 4mm or more, will need to add other tools to their dental arsenal - if they want to keep their teeth that is. The key to understanding this is to realize that every dental tool available does something that the others do not. Another way to put it is: the toothbrush doesn't do what the floss does; floss won't do what a toothbrush does; and the water irrigator can't do what the floss and brush do. They all overlap to some degree but make no mistake about it; once your gums deteriorate to the state I mentioned above you will have to use all three of those tools and possibly more - to get and keep your gums healthy. Aside from the toothbrush, floss and water irrigator, there are many preventive dental tools that weren't available 20 years ago and all have some value in the right situation. I'll list some of the more common ones. There isn't the space to go into each of the above supportive dental tools and if you are interested in them you can search the Internet and ask your dentist and hygienist to explain them to you. Suffice to say that if you are motivated and have learned how, when and why to use the toothbrush, floss and water irrigator - most people will have no need for other tools. But that doesn't mean they can't give additional support to your oral hygiene program. But the most important thing you can do is to consult with your dental hygienist and learn what preventive tools you'll need for your own unique oral situation. But remember, if you don't use them properly, and at the right time, it won't matter if you have 100 of the best toothbrushes, or 5 superior water irrigators - because your gums won't get and stay healthy by wishing them to be. Regardless of the dental tools you need to use you will also need the support of your dental hygienist, especially if you have, or had, more serious gum disease. Your hygienist can be of immense value to you in supporting and monitoring your oral hygiene program so don't forget to enlist her support. My book, Healthy Teeth - Healthy Body has a chapter devoted to showing you how to take full advantage of her in getting you on the right track and keeping you there. There two very important preventive dental tools that I haven't mentioned and if you take advantage of them your oral hygiene program will have a much better chance of being successful. The first is a good, healthy, natural diet and one that eliminates or reduces refined sugar and refined food consumption. This is a separate topic but the more natural your diet is, the more raw fruits and vegetables it contains the easier it will be to keep your gums and teeth healthy. The second is to supplement your diet with adequate amounts of vitamins and natural supplements. These are big subjects and cannot be adequately dealt with here but supplementing your diet with good multiple vitamins, multiple minerals, and vitamin C is essential. For information about how to establish a good oral hygiene program and how to use the various preventive tools available you can read Healthy Teeth - Healthy Body: How to Improve Your Oral and Overall Health. For information about some very beneficial preventive dental tools and what they do, Click Here. If you are interested in learning about vitamins and nutritional supplements that will support gum health Click Here. "Be True to Your Teeth - or They'll be False to You!"